As much as I love to read in the evening, sometimes I find myself dozing off, getting soundly thwacked in the face. Noses do not generally make for comfortable bookmarks. With the evening still stretching out ever so long–dark, dark at 5:30 pm *blech*–I try to find ways to stay awake until at least 9:30 or 10 pm. If I go to bed any sooner I am up at 3 or 4 a.m. [My body automatically wakes after 6 hours of sleep. Alarm clocks are a waste. So much for sleeping in. My family jokes about setting Mom instead of an alarm clock if we need to get up early]. I’m willing to get up at 5 a.m–not 4 a.m.
So–long evenings, what to do? During the day, when I’m not teaching the joys of literature, I’m on the computer grading, answering emails, creating lesson plans, doing more grading, and I’m not real thrilled about jumping on the computer when I get home. The hubs would be content watching a movie [we don’t do commercial TV] but that’s a lot like screen time to me and I enjoy peace and quiet after a full day of teen jollity. We tried cribbage. Backgammon too. He’s a chess guy. I’m a checkers fan. Not a knitter. And then, there I was at the library. Right next to the magazine exchange rack I spy a new addition: puzzles! I grew up watching my dad patiently wangle his way through landscape puzzles. Those teeny tiny pieces of chopped scenery boggled my little mind. It looked like boredom in a box and I avoided puzzles growing up. Besides the boredom factor, I like life organized, and puzzles remind me too much of trying to fix something that was broken. Spin ahead a few decades, and standing there in front of all those free puzzles at the library I became somewhat transfixed. Dad always looked so calm slowly piecing together those pictures. Why not? We are now on our second puzzle. The hubs worries over the quiet addiction that is developing. One little piece leads to another, then another, and soon two hours have gone by. 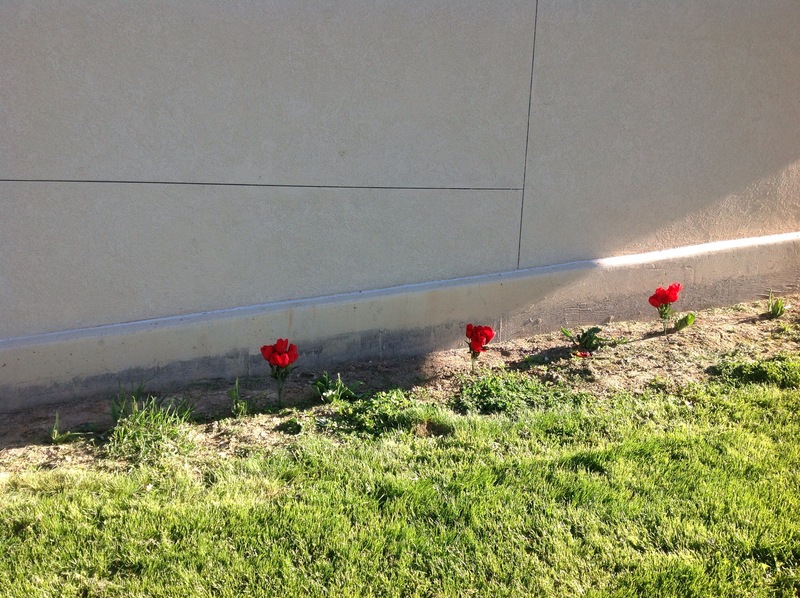 I was almost late to work one morning as we battled out the last twenty pieces of placement. I’m in my coat, lunch bag and purse slung over the shoulder, and I keep muttering: I need to go. I don’t go because I found the tree branch piece and that means it connects to the sky, which bridges the roof to the chimney…Is there a twelve step program for puzzlers? I am a bit puzzled over our new pastime. I feel dociled, like I’m in a folksy home. I’m nervous about telling the kiddos their folks are puzzling. They will no doubt smirk and nod and sibling-text how cute we are growing in our older years. Fine. They do all that already. Any one else a puzzler? With this being a leap year I thought it appropriate to spotlight some jumping words and phrases. It appears our hero anticipated raging temperatures suitable for summer. His wishful thinking reflects on the runner who anticipated running down the track to victory and started out before the official fired off a blank cartridge to start off the race. Captain Cook and his crew probably didn’t have this exact conversation, but I imagine something similar occurred. Apparently when he asked what the big hopping critter was called, the aboriginal native said “kangaroo” which actually means “I don’t know.” Makes sense. I don’t know how that baby stays put in the pouch as momma kanga goes bouncing around either. As much I proclaim to be a Book Bookster, I fear I’m not a proper one, for if I was, wouldn’t I be scandalously boring about reminding everyone that September was National Get a Library Month (“get carded at your local library”) or that October was National Book Month? I’m not fully living up to my potential. I’m hoping it’s okay that I just read and blog about what I’m reading. Guilt does overtake me now and then that I should be organizing parties and perpetuating cute little cookies in the shapes of books or something. Perhaps I need one of those calendars that they tend to pin on the wall in the staff bathroom that spouts when it’s national Eat a Chili Pepper Day or National Hug Your Bank Teller Day. There must be a calendar app just for bibliophiles. In an attempt to make amends for not noticing October was National Book Month, I will reprint an article about books that have influenced a batch of Ted Educators. 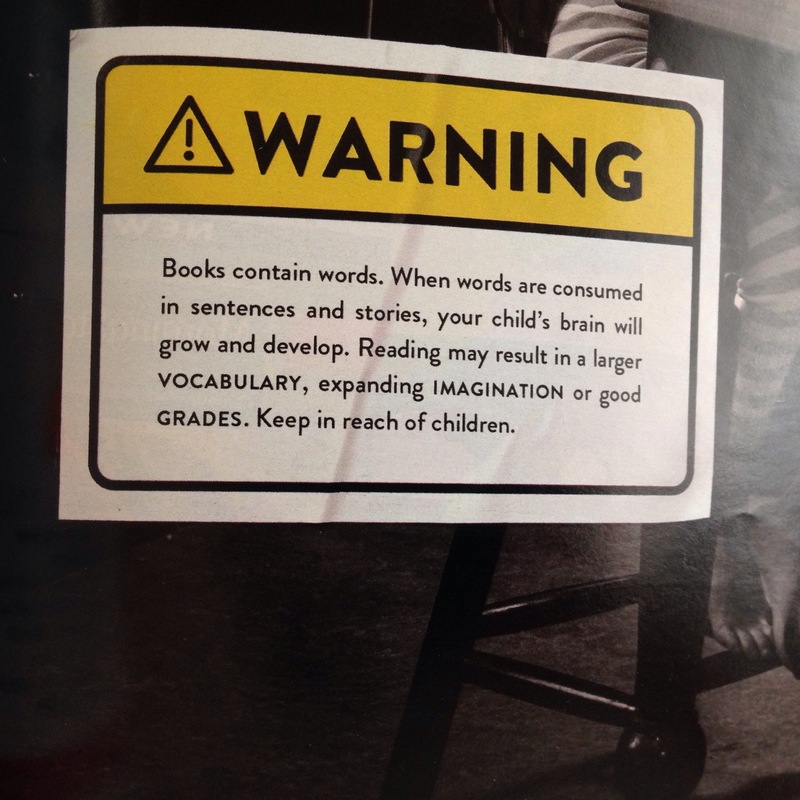 We do like our Ted Talkers. As to the idea of books making a difference or creating an impact in live I provide for your entertainment and enlightenment John Green’s list of books he appreciates. So, by the by–which book has changed your life? 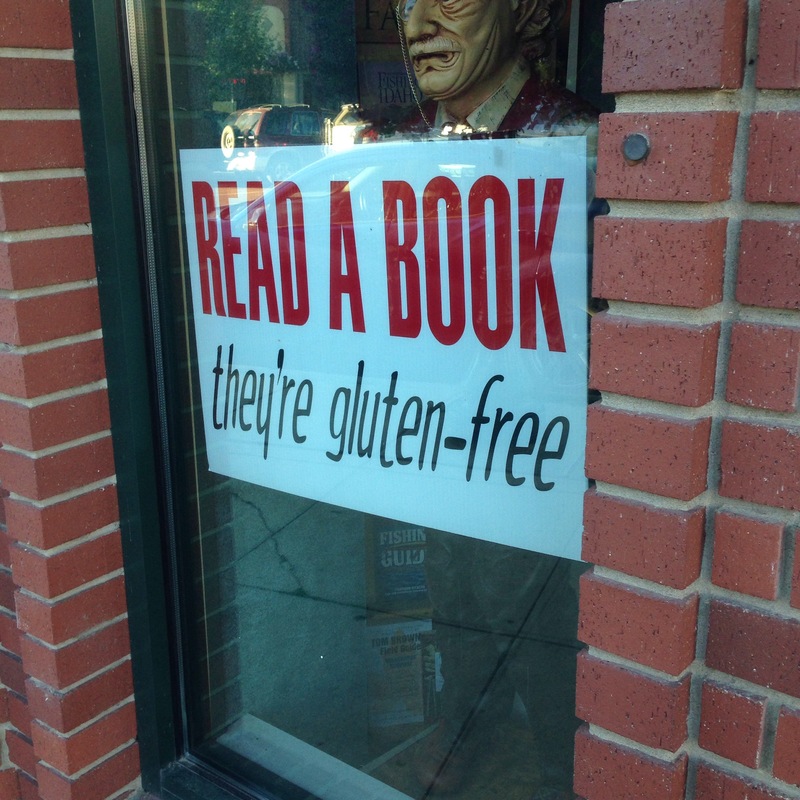 Or is there a book you want everyone to go and read right now? 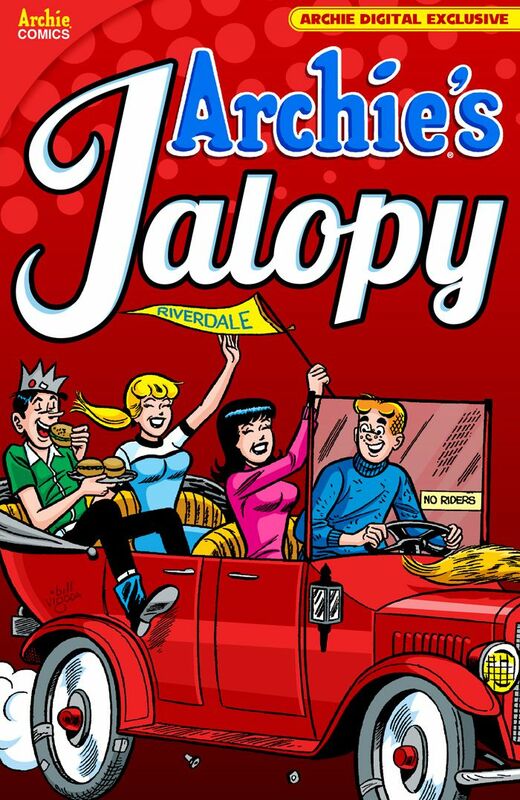 Archie probably didn’t buy his car from Mexico, although if he did, he might have bought it in the town of Jalopa. Since there was a shortage of cars in Mexico around the 1900s, many old automobiles would come to the country by way of USA cast offs. A car bought in Jalopa meant buying a worn out ride, sometimes a junky one. Eventually a jalopy car is what these were known to be called. Remember, those vendors are probably selling phoney Coach purses. Don’t buy one. Same goes for the watches. Stick to touristy stuff as souvenirs. Well, we all know that some market vendors aren’t totally on the up and up when it comes to the authenticity of their wares. Purses, watches, clothing–consumer be wary. Forney, a manufacturer of cheap jewelry, may have started the knock-off industry, junk merchandise. Spotting a “Forney ring” became a buyer habit. The name changed to “phoney” and today we are still on the lookout for poorly made merchandise claiming to be the real deal. When the US Army designed their “General Purpose Car” they probably didn’t know that the “G.P.” would eventually been shortened to jeep. This one is easy. About 35 years ago, racers started off at the bang of run firing off a blank cartridge. Anticipation was undoubtedly high, so it wasn’t unusual for a runner to start off before the bang, which became known as jumping the gun. Though it might be difficult to find an LP to play upon a stereo system these days, back then, the needle had to be aligned with the phonograph groove in order to be played. Getting things lined up just right does allow for being “in the groove”–feeling groovy? Why is it being in trouble means “you are in hot water?” Soaking in a hot bath, or hot tub is actually preferred to cold ones. Then again 21st century thinking needs to be set aside for the time being to understand that if one needed to protect the castle in the 16th century, boiling water would be poured down on invaders. Thus, being in hot water means you are no doubt up to no good or about to get in trouble by getting into trouble. No, this is not a reference to Winnie-the-Pooh and his penchant for getting noses and paws stuck in sweet pots. This is more like a Paul Bunyan reference of sending logs down the river to the mill and having them bulk up in a tangle and needing to straighten things out before they can get going again. All I know is we have named the office copier Bob Marley because it’s always jammin’–and that is not so sweet. Being late to meetings is not the best way to make an impression. If you could travel in Mr. Peabody’s Way Back Machine you might earn yourself a notch or a nick in a piece of wood by showing up to the town meeting. Contrary to urban rumor St. Nick is not the patron saint of habitual tardy meeting attenders. No limes were hurt in the process of this blog. However, once long ago, a ball of lime helped whiten the spotlight while performers stood center stage. While I’m not sure about the technical process of lime and spotlight whitening, I do know that if someone is in the limelight they have all the attention for that time being. Do you know the French have a word specific to their country addressing booksellers? I came across the word Bouquinistes in a review and became intrigued. The photo and info are both from Wikipedia. 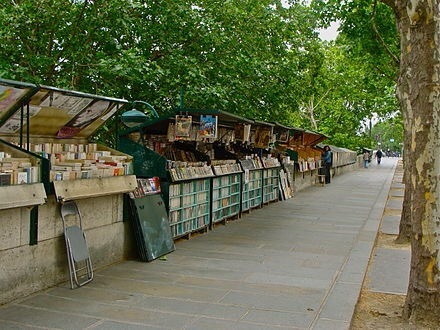 Bouquinistes are small bookstores in Paris, on each side of the River Seine. They are green boxes made ​​of wood. They were classified as a World Heritage Site in 1991. The word bouquinistes is used only in Paris. The word comes from bouquin, book in French slang. 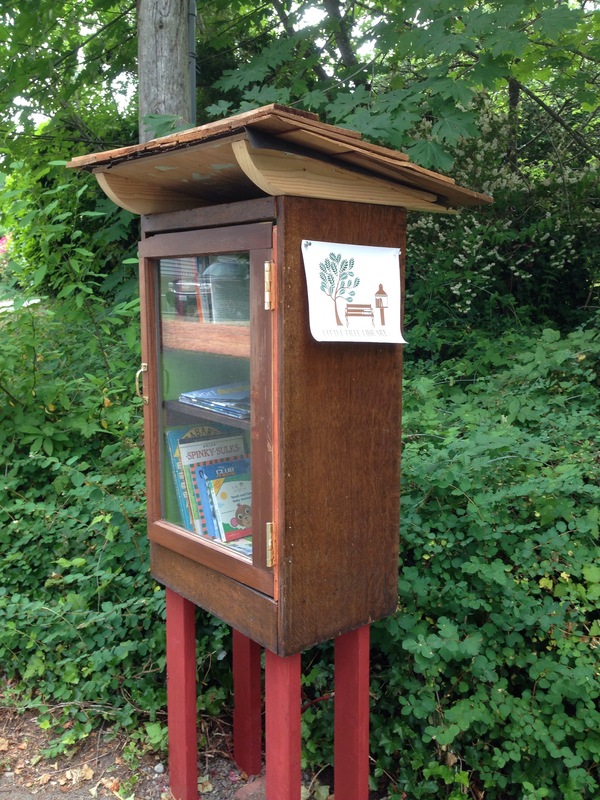 Have you come across a free library tucked away somewhere expected? I discovered this one situated in a quiet little neighborhood. It looked child-centered. 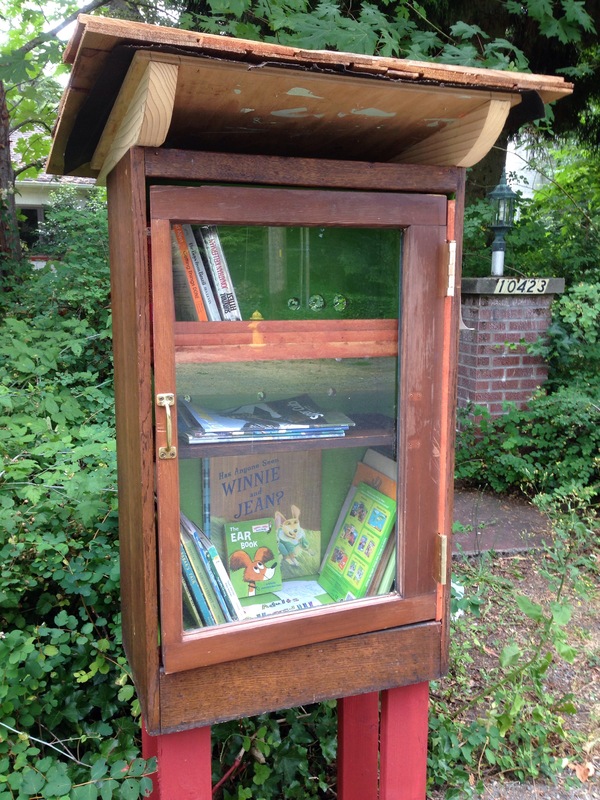 How fun it would to be a kid and check for new books or exchange ones out! What about you, dear readers–any fun, interesting, wonderful noteworthy bookish bits to share? Waking up at 3 a.m. either means I am not adjusting well to the time difference or I am so excited about another day of Shakespeare I can’t wait to get going. It’s probably both. Today was especially exceptional. books during his National Treasure stint. I’m determined to spend more time there. I guess I’m foregoing lunch tomorrow at the corner bistro. Handling rare books and diving into further Shakespeare research. Practicing for our upcoming group scene–I dibbsed Horatio for Act Five, Scene Five. I have always appreciated Horatio’s quiet dedication to Hamlet. Learning how to sword fight from a Shakespearan actor, and we were all filmed for an upcoming documentary highlighting the Folger Academy. We then received lines and “died” on the Folger Library lawn. 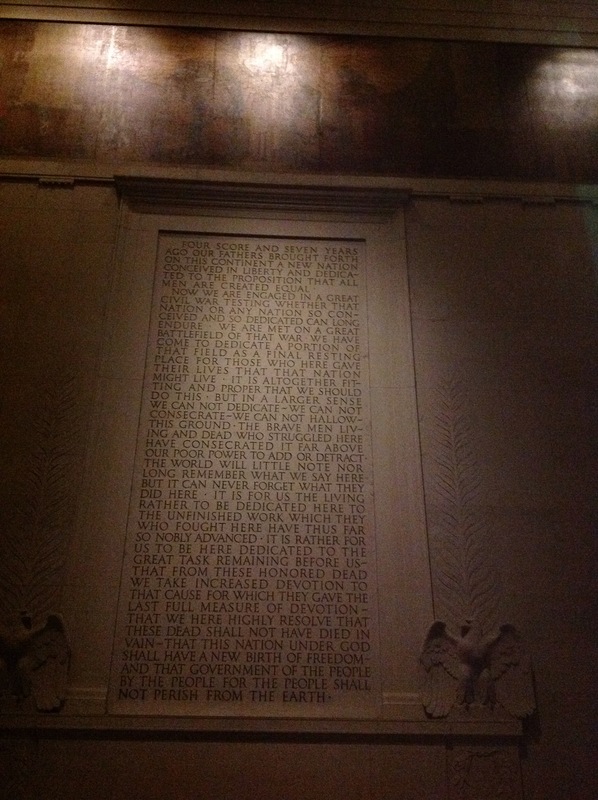 I couldn’t end the day so easily, so I roused myself and trotted off to the Lincoln Memorial. I would probably still be walking if I hadn’t come across a DC bike rack. I rented the bike for the very reasonable amount of $8.00 for 24 hours and trekked down the path. 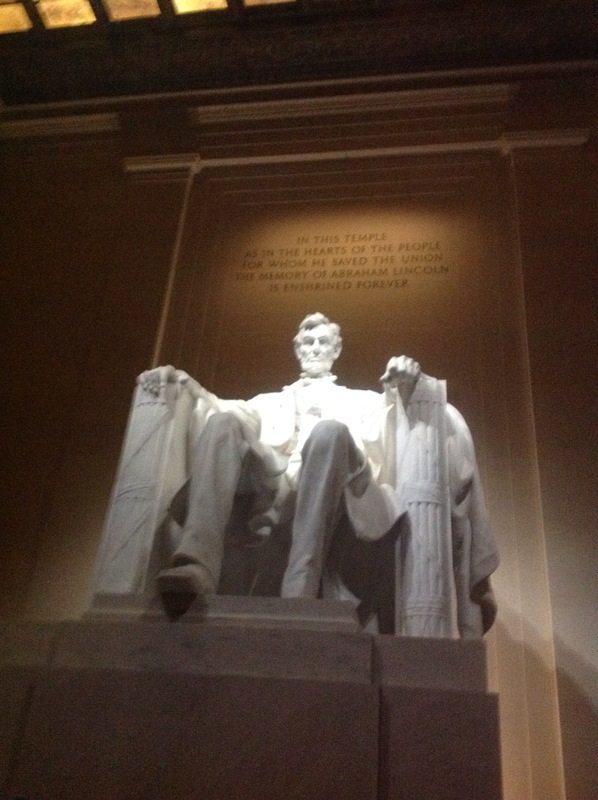 At 9:30 at night it was teeming with tours, families, and people of all ages and walks of life. I can’t imagine what it must be like during the day. I did arrive back to the hotel safely, although a bit drenched with the effects of humidity. When it’s 84 degrees at 10 pm, you can imagine day temps are a bit overwhelming. After going to bed well after 11pm, drifting to dreamland to the continuing firecracker pops of Fourth of July celebrants and the police sirens indicating aforementioned celebrants needed corralling, I realized my depth of tired from my very full first day. I slept in: 7:10 am. Jet lag, so far, proves no problem. Hmmm, whatever shall I do until 3 pm when I return to prepare for the welcome dinner? 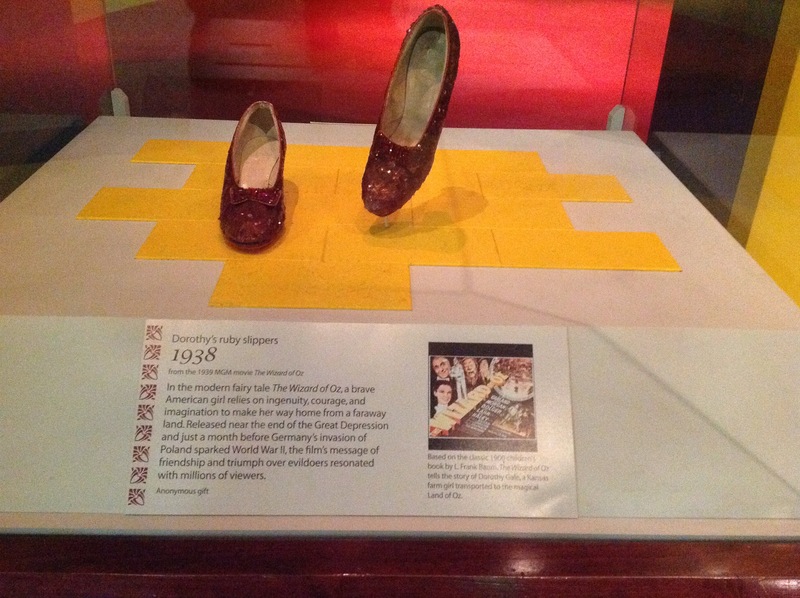 Since I’m walking, not being adventurous enough to attempt tour buses, taxis, or Metro buses, I fiddle with Google and determine the Smithsonian American History Museum is doable. I plug in Siri and her Google Maps expertise, and off I trot. Forty minutes later I arrive with only five minutes until opening. Third one in the door and I bee-line it to American Stories and gaze upon Dorothy’s Ruby Reds. I then promptly lose my school district’s iPad by leaving it on top of a display case. 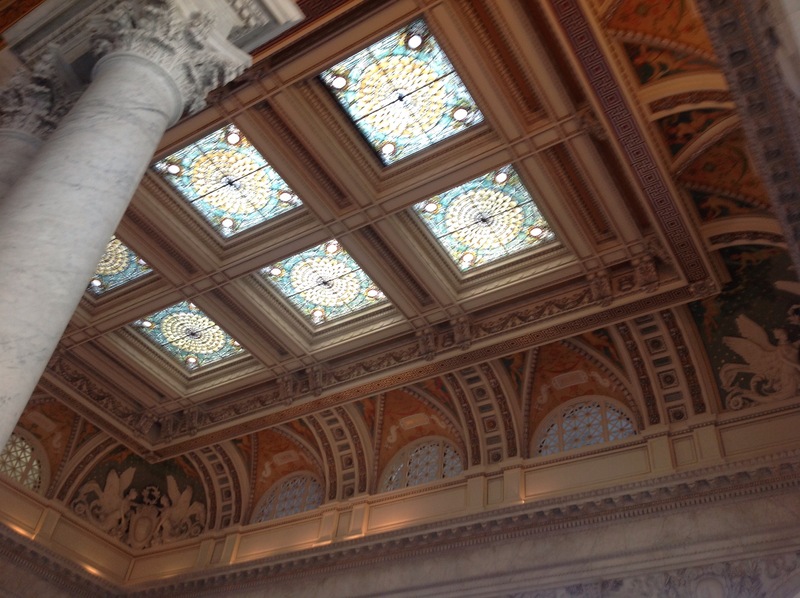 Great–fifteen minutes newly arrived as a tourist and visions of an angst filled day erupt. 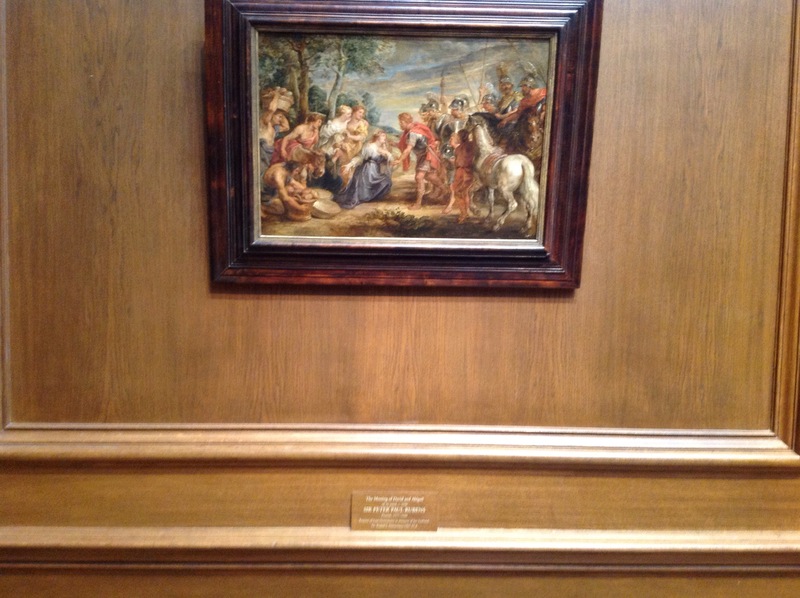 Prayer, and an angel of a docent, *shout out to Craig* my iPad and I am reunited via lost and found. The security man admonishs me to be “more careful” and I shall be. 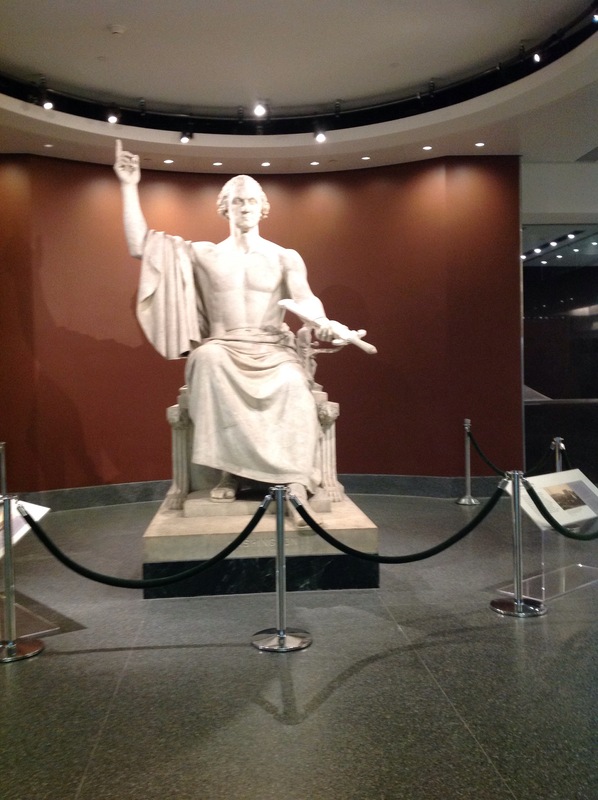 The first statue of George Washington. They had gyms back then? Pretty impessive abs, GW. 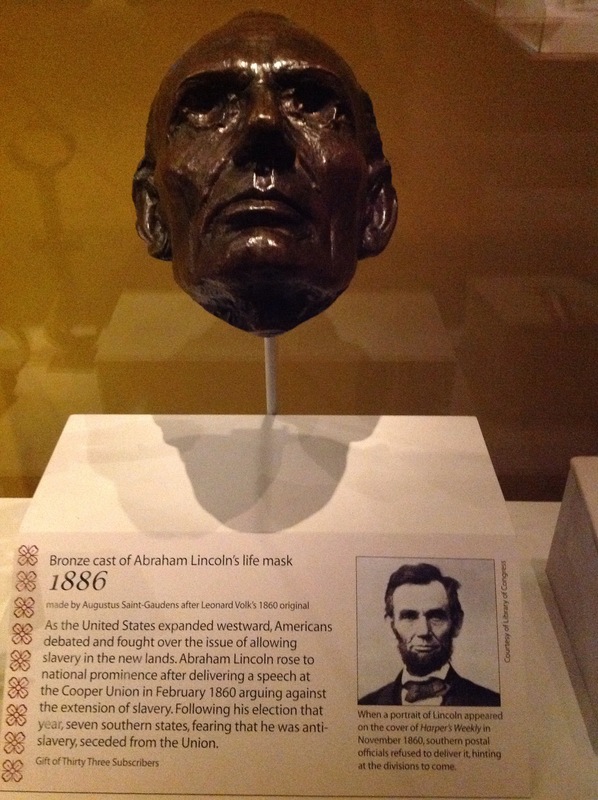 Lincoln’s life mask. 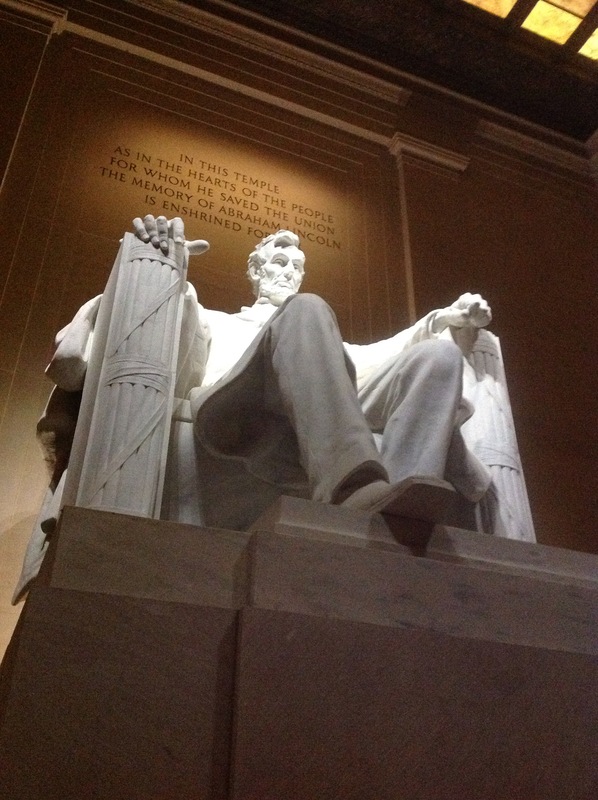 A bit macabre until realizing this was first cast when he was alive in 1860. Photographs are one thing, but this impression indelibly reveals a realism photographs can’t deliver. Moving through the Civil War exhibit I come across his last known photograph. I tear up. What a great man. What a great loss. I am emotional in each of the various military exhibits, reflecting upon family members who have served or plan to serve, and those, not just family, who have sacrificed for our country. Eyes and throat swelling with emotional realization of what sacrifice means, when I entered the Star-Spangled Banner exhibit, especially viewing the Ft. McHenry flag–yes, THE flag. First Ladies inaugural gowns which both caught both the personality of the First Lady and a reflection of the time period. A video of a nurse who had a reunion thirty-four years later with the Vietnamese baby girl rescued and was christened Kathleen. “They said we were killing babies during the war; here’s proof we saved them,” stated the nurse. DC is amazingly clean and everyone is so nice. 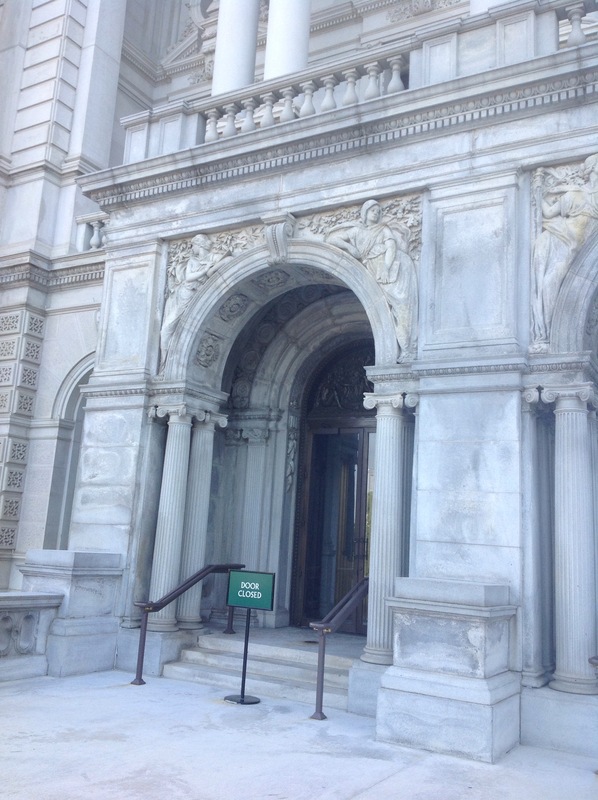 From docents to other tourists, everyone is polite, friendly, and helpful. This teaches me to not believe in Bruce Willis’s Die Hard movies. DC does not stand for downright corrupt. It’s clean and nice, at least in my encounters so far. 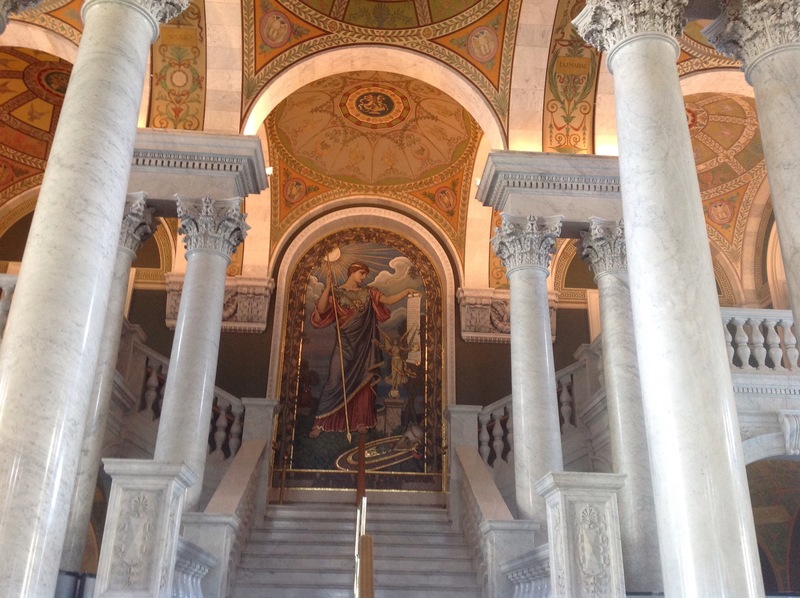 I briefly stopped in the National Art Gallery. The beauty of exquisite masterpieces rendered me speechless at moments. Being inches from a Rembrandt reminds me how beautiful is the creativity of the human soul. 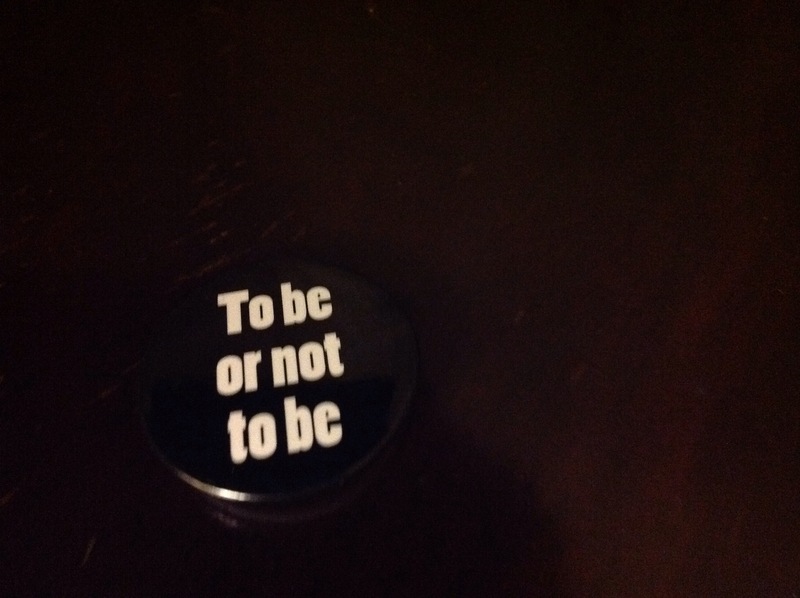 To be or not to be committed to giving up my personal agenda of wanting to be a DC tourist (at least more than one day) and instead immerse myself in my Shakesperean scholar potential.